This easy to read book offers compelling proof that America was founded as a Christian Nation by Christians, and not by atheists and deists. Even the secular media has concluded that at the time of our nation’s founding, over 98% of the citizens were Christians. 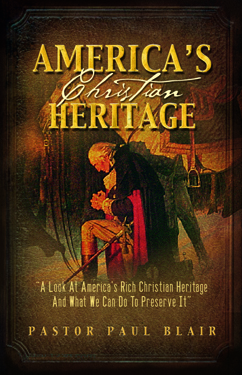 Read about the faith of our founding fathers, and how God has been removed from our educational system, of how American is truly One Nation Under God, and how we can reclaim America, one state at a time. Available in complete book form or fully illustrated DVD.